This is a review of the Melbourne International Comedy Festival season of Surenity Now. Suren Jayemanne is an uncommonly talented writer and performer who has, as they say, what it takes. Unhappily for me, him and those others who will view his good-but-not-great hour Surenity Now, he’s not currently taking what he has anywhere so special. Not, at least, in this moment. I forgive him and trust he will soon offer more. And hey, there are plenty of reasons a young comic might find growth difficult. These include time, money and the problems of money and time. 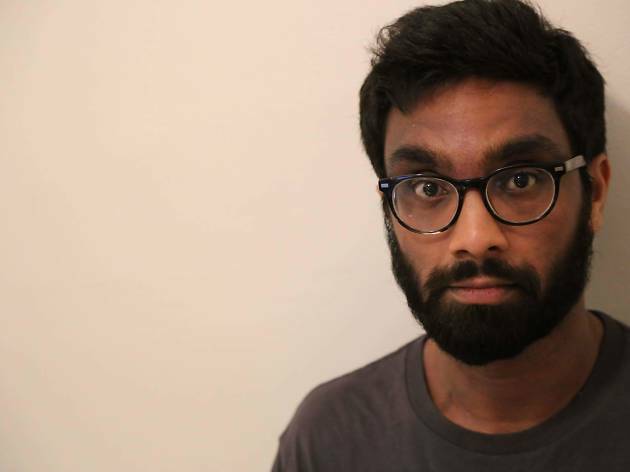 As if material survival within the unprofitable context of small comedy rooms is not challenging enough, cultural survival cannot be easy in this nation for a comic of colour. Local comedy may be no longer entirely performed by white people, but a white sensibility continues its dominance nonetheless. Just as once white female comics were critically diminished to pure identity before speaking – “she’ll only talk about tampons” – brown comics now face a comparable reduction. How dare you talk about who you are, demand critics, as if this were not the work of every comic. Jayemanne, a person fluent in two cultures, addressed this critical bigotry and dispensed with it promptly in 2015’s Eat Praline, Love. This was a bright, savvy and, I’d say, meticulously written show that made the sensation of “race” as briefly felt in the minds of a largely white audience as it is stubbornly felt in the Australian lives of those who are not white. A very good hour like this makes a coin drop, at least until the curtain closes. A decent collection of unconnected jokes, on the other hand, will not move anyone anywhere, whether that’s to a new awareness or to pure delight. Jayemanne’s jokes may occasionally address race and/or masculinity, but they don’t joyfully invert either construct. 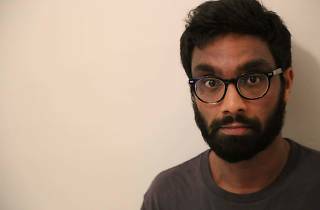 This guy is a comic writer and performer who has been coerced or convinced to do stand-up. And sure, his jokes are good. But his future shows could be great. Go see him anyhow so you can say you knew him way-back-when. Time, money and mentorship will bring the Jayemanne show that takes you, me and him somewhere special.